I am flying off to the Philippines for my best friends wedding and a little quality time with my girls. This is the first time I'll be traveling solo - no hubby or my Natalie. Needless to say, I am anxious and already missing them terribly! 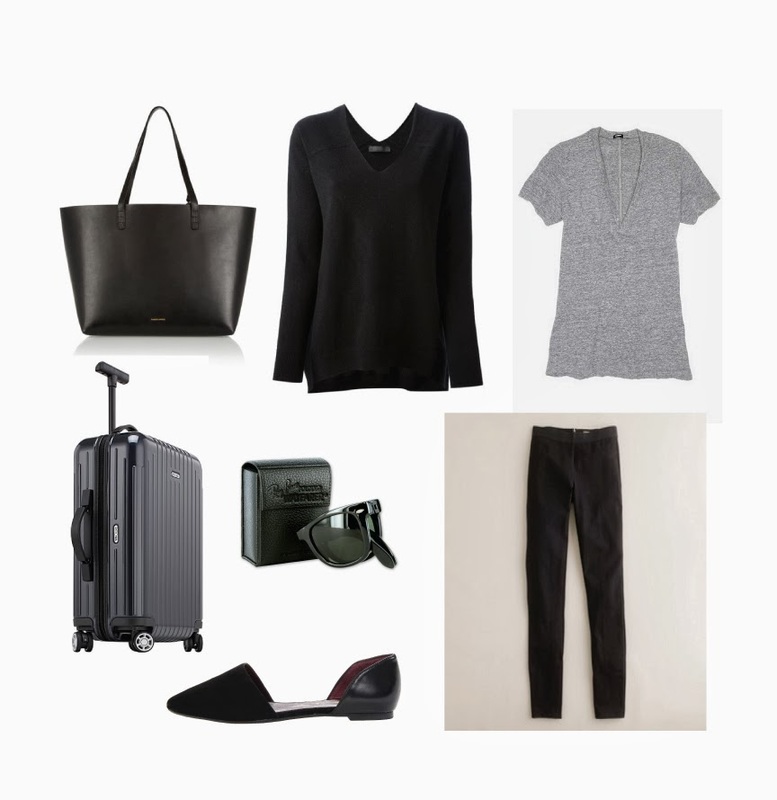 When I travel, I keep my outfits extra simple and comfortable and take into consideration practicality. These pants let me move yet are much dressier than sweats or leggings. This shirt is comfy layered under this cozy silk-cashmere sweater. These flats make it easy to get through security checkpoints. These shades hide post-flight under eye bags without taking up much space. A large roomy tote like this is perfect for carrying an extra jacket and reading material. This carry on makes traveling hassle free. What do you like to wear while traveling? Thanks for dropping by!